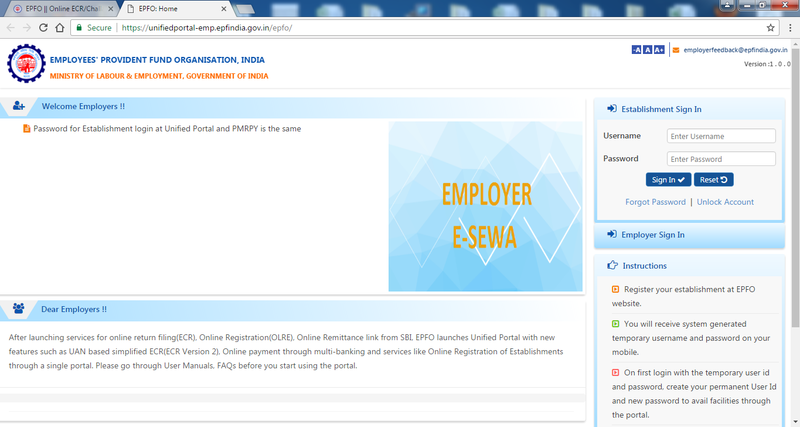 to see the login page of EPF. Enter Username and password to Sign-in to your account. Step 2 : Now goto on "Payments" link on the menu and click on "Payment (ECR)" link as shown in the image below. Step 3 : Now you will be taken to the pending ECR Challan for Payment list. Here find the challan you want to make the payment for and click on "Pay" to make Payment for the respective Challan. 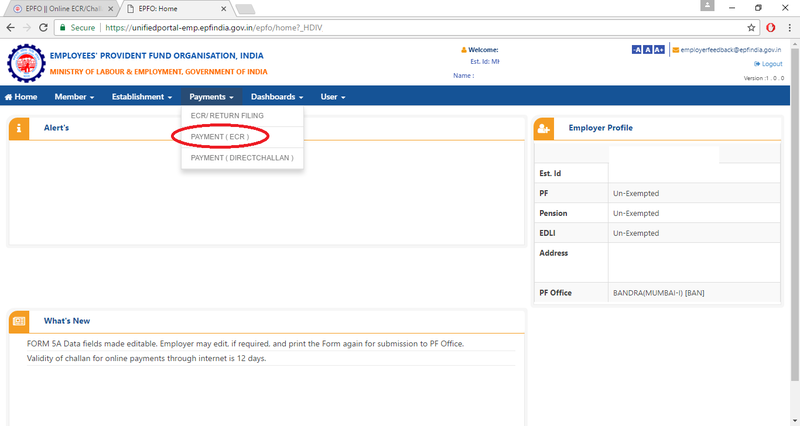 Step 4 : After clicking the Pay button, you will get the options to Select your payment Bank and initiate payment for the respective Challan. Select the Bank you want to make the payment with and if your bank is not listed in the selection list then select Other Banks - SBI Aggregator option to make Payment. Now follow the instructions to complete your payment process. You can also check the status of Payment of PF Challan and to download the receipt of PF Challan Payment.